Time Inc UK has credited turning NME free and expansion in events for an increase in "adjusted" revenues and operating profit last year. 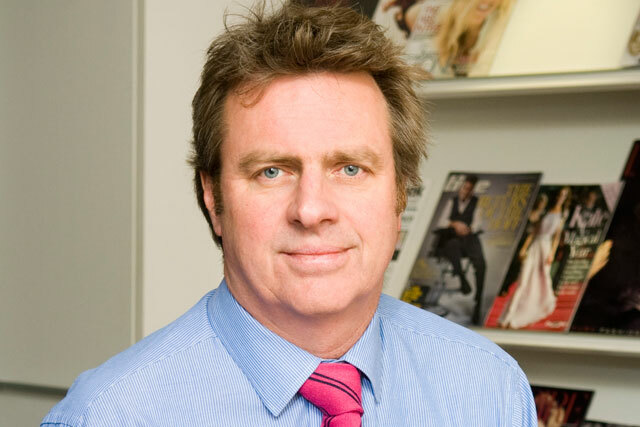 The publisher of Country Life and TV Times hailed its annual results, filed at Companies House, as a "significant milestone in the turnaround of the company". Marcus Rich, the chief executive of Time Inc UK, said the 1% increase in adjusted revenues omitted discontinued operations, including Nuts, which was closed in 2014. Operating profit before exceptional items rose 7% to £28.7m. "It’s a good story," Rich said in an interview with Campaign. On a statutory basis, turnover dropped 4.3% to £260.7m. Pre-tax profits soared to £144.6m once exceptional items were included – notably a one-off gain from the sale of Time Inc UK’s Blue Fin Building on London’s South Bank that was partly offset by "re-organisation" costs. Since joining Time Inc UK in 2014, Rich said he has adopted a three-pronged strategy: find cost savings to cope with print’s structural decline, invest in organic growth and acquire other businesses. He cited turning NME free in September 2015 as an example of organic growth as the music magazine went from a 15,000-circulation, paid-for print title to a freesheet with a distribution of 300,000 copies that has attracted advertisers which want to reach 16- to 34-year olds. Time Inc UK’s digital revenues have also been growing at 20% annually. Rich has made £20m worth of bolt-on acquisitions, including UK Cycling Events and International Craft & Hobby Fair, that have complimented Time Inc UK’s existing editorial titles and showed "a willingness to invest in growth", he said. "It’s about extending the touch-points with the consumer," Rich added, explaining how Time Inc UK can offer readers of Cycling Weekly the chance to attend events and that, in turn, drives further opportunities. "The same people subscribing to the magazines are going to go to the events and that gives you data to develop other products," he explained. "There’s a belief that your [editorial] brands can reach consumers in many ways beyond print." He said readers of magazine brands are "incredibly passionate", willing to "pay for content quite often" and have high "engagement" with advertising. A lot of advertisers and agencies believe "the only solution is a Facebook buy or a Google buy or a TV campaign", he said. "What they lack is a level of engagement that you get with a very passionate audience who respond to those advertising messages [in magazine media]." Rich has continued to close print titles such as InStyle, which he turned online-only in October 2016, because "rebasing the cost of the business in accordance with the challenges we’re facing" was necessary. But he said some titles, including TV listings, Country Life and Woman & Home, remained "very robust" in print. "We shouldn’t tarnish all print markets," he said. "There’s still growth as well as new revenue streams." His latest initiative has been to launch an in-house TV production arm as he would like "the stories we tell in print" to be told in video. "The next area of disruption is TV," he predicted. He declined to comment on any future M&A plans or reports that Time Inc UK looked at Immediate Media, publisher of Radio Times, in the summer. There has been on-off speculation for years that the US parent company could spin off the UK business. Accounts show Time Inc UK, formerly known as IPC Media, has seen revenues fall by almost £100m in the last five years, following a series of disposals and closures and a decline in print sales. Selling the Blue Fin building and leasing the space was widely seen as a cost-saving measure, although Rich maintained it made sense because "we’re a media company, not a real estate business". Time Inc UK did not pay a dividend and most of its 2015 profits were set to be ploughed into the pension fund to fill a deficit as the company paid £50m in November 2015 and committed to invest another £66m by 2021. "I’m very positive," he said. "At the very heart of the business, you have something very unique – you have a relationship with the consumer that other platforms don’t have." When advertisers buy into a magazine brand, it’s different from buying into programmatic advertising on a run-of-the-mill online site, he said, declaring: "It’s the deepness of that passion that is unique."